I guess I’m a treasure hunter by nature. I like old things, and exploring is part of the fun. One of the first pieces of furniture Sweet William and I bought as a couple was a rugged looking, six legged table he found in someone’s garage. We gave it the tender loving care it needed, and it sits in the bay window of the living room. I’ve enjoyed scouring antique and junk establishments, garage sales and thrift stores. Unique things are the reward. We ventured to our first official yard sale this week, a rite of spring, at an ancient little church not far from home. The women of the church host a sale twice a year in their modern multi-purpose room, and it’s always a good place to search out something of interest. This year I spied an item that was a close duplicate of what I have at home, a small china hand that I’m sure was originally meant as an ash tray, the gold-plated indention at its wrist just the size of a cigarette. Mine rests on my kitchen counter, near the coffee pot, as the holder of a cream-stirring spoon. The small hand used to sit on my mother’s gas stove where she placed the burnt match she used each time she lit a burner or the oven. Because the gas did not run continually in her stove, Mother pushed the burner knob and held a lighted match where the gas escaped to light the fire that would get the cooking started. I’m sure that is against all safety regulations now, but that’s the way it was done in mother’s kitchen. When she died, that little hand was one of the first things I wanted to take to my kitchen. It held years of memories of good food and my mother’s daily activity. Feeding her family and anyone else who happened to sit at her table was primary, and she did it well. At the yard sale I snatched that little hand and carried it to where Sweet William was now sitting with a plate of chips and a hot dog. “Look what I found” I said, and we took it home with us, the treasure of the day. Last week, I decided to go through the contents of the cedar chest that doubles as a window seat in the upstairs office. I had not looked deeply into that space in a number of years. I pulled all the memories out of the chest and laid them around me on the floor. There were items from our son’s childhood: a baby blanket, high school ribbons and awards; a child’s hand print on burlap and colorful boy scout patches; a green frog costume I made for his elemenatry school play; a couple of baby spoons and a small wallet housing his name and “F.B.I Agent” written on notebook paper. There was Sweet William’s high school choir sweater, my girlhood autograph book and one belonging to my mother with wooden covers; baby shoes worn by the grandchildren and a faded picture of my dad in military uniform on cloth emblazoned with the United States flag, American Eagle and the Liberty Bell. There are a slew of stick pins, awards for piano auditions, safe driving, school clubs, and employment. An old Bible was wrapped carefully with no one’s name in it. I have not idea whose it was. I found a stack of 3 by 5 inch recipe cards, the ones we used to keep in boxes before Pinterest boards and on-line organizational tools. They were in my mother’s handwriting, and I thought they had been tossed in the trash years ago for lack of thinking. I looked at each one of them, some written neatly, some scrawled quickly, no doubt in a hurry to get a friend’s delicious dish written down for future meals. When I held the items from the ancient cedar chest, nostalgia rose, memories came and tears welled in my eyes. They hold a treasure of experiences, remembrances of days gone by and the people who made those days important. All of them, even the unknown owner of the Bible, left their imprint on my life. This week I had opportunity to talk to family members I don’t get to see as often as I like. Those few minutes on the phone are precious, the laughter and love expressed in words and intonation are held close in my heart. I think once again of how valuable people are, the ones who come for a while and the ones who stay a lifetime, how they all leave a mark in one way or another. They are the true treasures of a life. I heard somewhere that we have “the precious present” to hold and give our attention. Tomorrow is not a guarantee. Today is a gift to be enjoyed. I think how time goes by swiftly, children grow up before we are ready, parents die, and I am getting older by the minute. I pray that I can be aware of these days of my life, not only capturing them in my memory but taking the opportunity to express love to people on a daily basis. There are still words I want to say, encouragement to be offered, prayers to send heavenward. I have life to share and hope to extend. Time is always moving. I have the precious present and I know that people are my greatest treasure. I don’t want to miss a single one. The alarm shouts at my sleepy head, and I press the snooze button too much. Last night I grumbled as I set clocks forward, wondering why we keep doing this. The saving of time made me lose time this morning. My body feels it. And what wakes the birds in my little woods and the chickens in my neighbor’s yard? Is it not the sun, God’s rhythm-keeper, placed there in the sky for us day after day? So why do we keep messing with the clocks? Time. Less a friend, it often seems our enemy, fleeting, running out, rushing ahead, adding years to our lives and age to our bodies. Yet time is a gift, given first to Adam and Eve, the evening and the morning, twenty-four hours that precede and proceed, without ceasing. Last week time seemed limited with projects looming heavy on my mind. Things transferred from February now wait on the March list of “to get done.” Next week appears much the same. I only hope for small blocks of an hour now and then to move forward, making steps toward completing what I think is important. But is it? Maybe I am the only one who cares, giving this undertaking importance and weight, perhaps more than it deserves. Instead of my projects, I chose people last week. Saying “yes” to a spur of the moment lunch invitation. Driving Sweet William to his appointment. Inviting young sisters for brunch and some crafting. Attending a gathering for friends who needed comfort. Visiting a loved one dealing with uncertainty and fearful outcomes. Recording days in my journal, I view ink on paper and clarity comes. Last week I chose what is better. There were days when I did not make such good choices. I relived one this week as I listened to those old audio cassettes on the player in our living room, still trying to pick what to keep and what I can toss. Randomly in the middle of one cassette, I heard my son’s little boy voice. It was high-pitched and small. 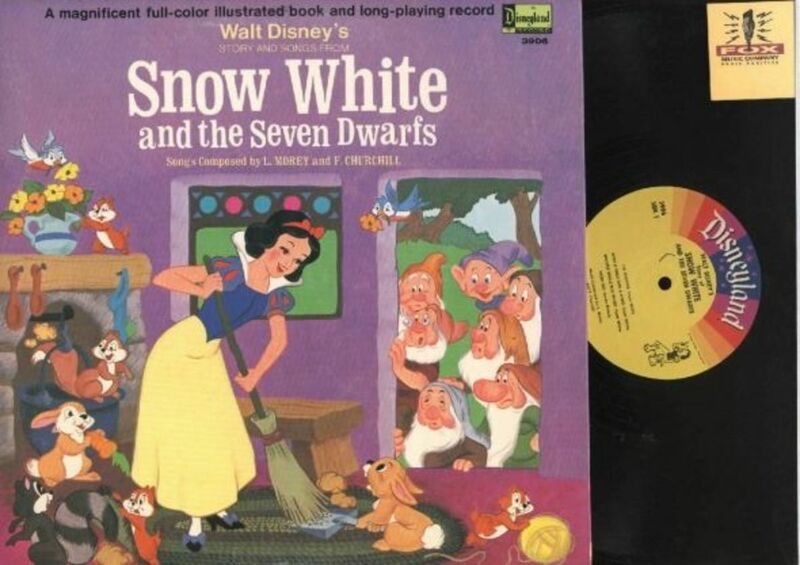 I saw the scene in my head, forty years ago, him sitting on the floor in our apartment listening to a vinyl record of Snow White and the Seven Dwarfs. He had a book in his hand that followed the story being told in word and song on the record player, and a bell sounded when it was time to turn the page. “Mommy is it time to turn the page?” I heard him say. The first side ended and the record needed to be flipped and restarted to finish the book. And I heard my boy, “Mommy, it’s time to turn it over.” Silence and waiting. “Mommy come,” he said with more urgency, though it was only a few seconds. What I was doing in that small two-bedroom home that made me keep him waiting? Whatever it was could not have been more meaningful than the child who wanted my attention. While the memory was sweet, the pang of regret hangs over me even this morning. I suppose all mothers wonder if we were good enough. What kind of mother was I to that precious boy of mine? Did I give him what he needed, was I attentive, did I listen to his little boy requests, or did I put projects first too many times? I’m not sure. You’d have to ask him. I only know I want the rest of my life to be people oriented and not ruled by lists and tasks. People over projects. Making the right choice this time, every time. Because time is a gift from God, and how I spend it is of the utmost importance. Life is brief, even at its longest. Even with the accumulation of many years, it seems not nearly enough. We are a vapor, spending our minutes, hours, days, and years, then wondering where they went so quickly. The breath of the Creator blew life into clay and we became eternal, the longing for true vitality and essence imbedded in our DNA. We are connected to Him who gave of Himself to bring us into existence. Is it a wonder, then, that eternity is set in our hearts? In self-seeking pursuits? In pride of accomplishments? In looking out for number one? In gathering to ourselves houses, lands, stuff that we think will satisfy? 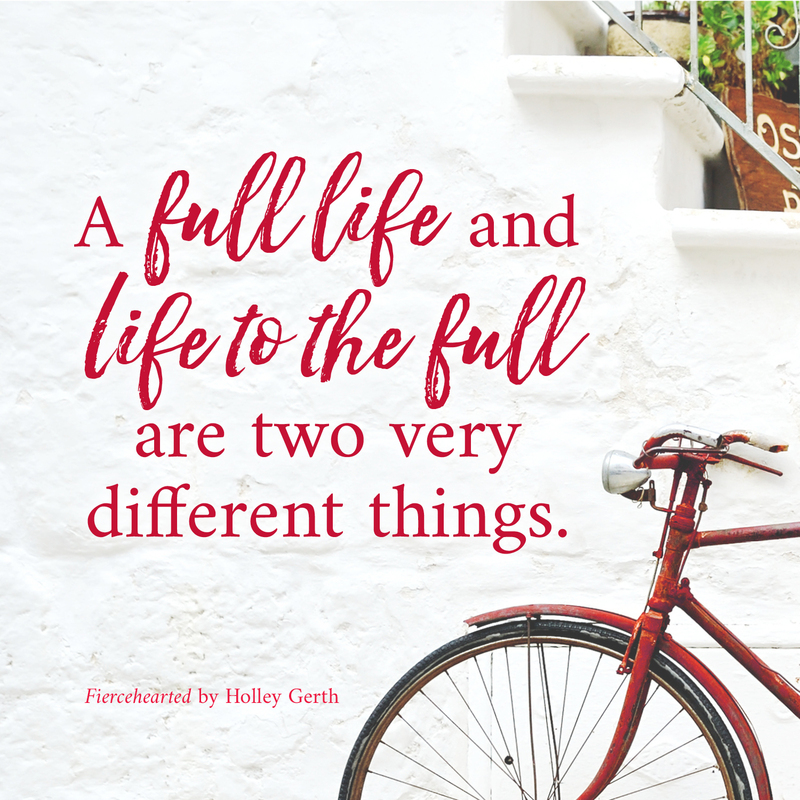 Knowing there is an end to our beginning, how do we live to pursue the worth of a life? Be honest. Be fair. Be trustworthy. Share your wealth, your belongings, your heart. Be real. Don’t hide your true self. You are fearfully and wonderfully made to be unique and precious in God’s sight. Live out your true potential, exercising the gifts within you. Show kindness at every turn, to every person. Practice patience just as you hope to receive it. Learn to be content in this present situation. Forgive. Give mercy. Let your heart be moved with compassion. Seek the Creator who gave you breath. Accept the love He freely gives, the grace that is a gift through Jesus Christ. He gives us value and worth because He loved us first. As December goes – it is the best of times and the worst of times. The joy of Christmas mixed with the stress of the holidays can do us in. Sometimes we sigh with relief on the 26th and breathe “I’m glad it’s over.” Been there and done that. But December 2017 was different from years past. It seemed slower, quiet days intermingled with a manageable busy. The month started with a Christmas recital of my piano students at a senior assisted-living facility that was great fun. The residents enjoyed our familiar carols, and we enjoyed talking with them. People dropped in to share a meal or a cup of hot tea and cocoa with us. Two days Sweet William and I had a house full of girls which made for a lively Wright House. They brought conversation, giggles, and a lot of fun to us. We spent time with friends and family, planned and spur of the moment. I am thankful for the people in my life who enrich me in ways I can’t even describe, but I recognize it when I see myself growing, the fruit that comes from companions who make me better. My decorating was simple this year. While the Christmas tree is not my favorite thing to do, Sweet William loves it. So it was the first thing on the to-do list. Somehow completing that one task made the rest easier. Our pre-lit tree began to shut down one branch at a time, so I made a stop at the dollar store to purchase LED lights. We added them to a fully-decorated tree, and in the spirit of Charlie Brown’s friend Linus, it was not a bad little tree at all. I’m still working on one and two. Three didn’t happen. I did a major purge last year, and it seemed to be less than I remembered. So I boxed it all up and once again stored it behind a closed door. During the month I was reading Eve Schaub’s Year of No Clutter: A Memoir. Her efforts at emptying an overstuffed junk room and eliminating clutter in her life revealed some of the reasons we collect and keep, store and even hoard. Being the keeper of memories, I began to understand myself as I read about Eve’s issues with stuff. It helped me turn loose without guilt and to stress less about keeping what is precious and memorable to me. Speaking of books, I tracked the ones I read this year in my bullet journal. It is an interesting discipline that now shows me the variety of material I’ve consumed. Reading was not something I enjoyed in school when I was required to do book reports. Thankfully, I have learned to love the written word, and find non-fiction as attractive as fiction. As the hours of 2017 are dwindling, I become reflective, reviewing the 365 days I spent so casually. Did I use them well? And what of 2018? A new year emerges as a clean slate, an unwritten notebook, a fresh start. As I prepare my new bullet journal, jotting down goals, aspirations, intentions, resolutions if you will, one thing I do want is to be aware of the exquisiteness of life. It is ths gift of years, days and seconds we have been allotted. The bequest of breaths I take should count for something. It is not about filling my days full of activity and proclaiming my mantra, “I’m just so busy.” That’s no way to live. time to love freely and to let myself be loved completely. Solomon said, “For everything there is a season, a time for every activity under heaven.” There is time, and it is an offering we give back in how we use it. The passing of winter solstice, December 21, is encouraging as I anticipate temperatures in the minuses on New Year’s Eve. The days are getting longer, though imperceptible as yet. I know it is a truth. By February it will be a noticeable reality. Then spring will not be far away. It is much like faith which is based on what we know is true. We trust and wait to see the faith become reality. This is Christmas in all of its wonder and glory, faith built on truth. December is really more like the beginning than the end of a year. It reminds us to pause and reflect on the majesty of God’s love and His invitation for a fresh start, a new birth, a beginning to live real life abundantly. Whatever 2018 has in store, I am holding to the Maker of time and years. What is even more reassuring is that He is holding me. He will not let my foot slip. He is not caught off guard or unaware of today or tomorrow or next month. He is God and He is in control. Rest your future with Him. Being an only child, mother had plenty of time to spend with me. She didn’t have to divide her attention between multiple children. And let’s face it, one child does not create that same work as three or four. One of my sweetest childhood memories is coloring with my mother. She patiently sat with me and colored in the large pictures designed for the very young, a box full of crayons scattered on the table between us. Just being with my mother in a shared, fun activity provided more stability than I can probably understand. The BIG and Little Coloring Devotional, written by Rachel C Swanson and illustrated by Jacy Corral, provides just such opportunity for an adult and a child to experience togetherness in a bonding activity. What is unique about the book is the way the pages are put together. On one side is an adult graphic to color. On the opposite side is a less detailed coloring page just right for a child to enjoy. The perk of the book is the written devotional captured within the adult side. Imagine this picture: You are sitting at the table beside your child, or someone else’s. The crayons, pencils and markers are scattered about. The child colors and you color, each of you having your own page. Both of you begin to relax into the activity, breathing deeper as you fill in spaces with brightness and beauty. Pausing a minute from coloring, you read the devotional right there on the page, never leaving the table. You let the words penetrate your thoughts. You listen as the Holy Spirit speaks. On the other side of the book, the child is deeply involved in her activity. You notice how her page coordinates in a simple way with what you’ve just read. Now you begin to ask questions that give her a chance to talk about the topic, whether that is sadness and tears, obedience, God’s love, or seeking Jesus with the whole heart. The two of you are now sharing time with God together. Tenderly, unhurried, simply conversational. These moments carry eternal weight as she opens her heart and you open yours. In our busy, task-oriented culture, slowing down long enough to color a page may seem insignificant, unnecessary, or even time spent foolishly. However, whenever we slow ourselves, give ourselves permission to relax and fall into the rhythm of a leisurely pace, when we connect with another person, young or old, through our words and animation, something significant happens in the atmosphere of life. Something important that outlasts our latest project on the to-do list. BIG and Little Coloring Devotional provides the vehicle for being together. Give time to the people you care about the most, especially during the rush of upcoming holidays. Ask questions and listen, linger with the conversation, turn off technology and experience life together. Being together is a good place to be. In fact, it is the best place. P.S. BIG and Little Coloring Devotional is currently on sale for only $5 at Lifeway.com. Pair it with pretty pencils or markers and you have a great Christmas gift. NOTE: I received a copy of BIG and Little Coloring Devotional, provided by B&H Publishing, for an honest review. The book was free. The words are my very own. Time is such a gift. I realize it more and more. We each received the gift of time this morning, my friend and I, as we met for a couple of hours. And our chatter was the give and take that friends do. We share life experiences, and we pray for the each other. This kind of gift cannot be purchased and wrapped with a bow. Time is a gift we give to God. Imagine that we can gift something to the God who owns everything? But think it through. He desires to be with us, to talk and listen to us. To share heart experiences. To hear our prayers. How much time do we really give Him? Uninterrupted time. Focused time. Meditative time. When I was but a small child, my mother presented me with a daily devotion book. It began on January 1 and ended on December 31. It was her way of encouraging daily time with the One she knew so well. She wanted that same precious relationship for me. Mother kept me in devotion books through the years hoping I would develop a habit of spending time with God. It was a discipline I would desperately need through the years. There were seasons when I could barely bring myself to open the Bible, open the devotional, open a study book. Times when I felt alone and forsaken. Times of depression and darkness of soul. Times when all looked hopeless. But the daily habit was ingrained. So I did it. And it brought me face to face with my Savior once again. It was the face I needed to see, beyond the current storm I was in. And so I want to recommend The Devotional for Women . It begins with Day 1, not January 1, so you can begin it at anytime of the year. It begins with Genesis and goes through Revelation, encapsulating the entire Bible, not leaving out the tough parts. It is a book written by women for women so it speaks to us personally. And it’s just pretty. Purple. With a soft almost velvety feeling cover. It appeals to the eye. But it’s what’s inside that is important. Are you needing something to spur you on this year? Have you already forsaken that “read the Bible through in 2016” resolution and feel like a failure? Would you like some help in developing the discipline of being in God’s Word and spending time with Him? Could you use a a little guidance that you can pick up at anytime? Check out The Devotional for Women. If not for yourself, make it a gift for someone. Because time is the gift. NOTE: * I received a copy of the book The Devotional for Women, provided by B&H Publishing, for an honest review. The book was free. The words are my very own.